First impressions are extremely important, no matter in what facet of life you are trying to make them. Imagine meeting a potential new client or boss, or even a potential significant other for the first time. You want to make a good first impression, and that involves making sure that the words you use and the way you piece them together are clear and coherent. If you start your conversation by using slang or improper grammar, the likelihood that your relationship, whether personal or professional, will be successful is slim. This article will explore how to improve your English grammar, whether in speaking or in writing. For instance, many people will respond with a “thx” instead of saying “thank you” when texting. Saying “yeah” instead of “yes” has also become commonplace. However, to make a good impression, it is important to know how to use English grammar properly. There are some very basic ways that almost seem elementary for how to improve your English grammar. Even though the list below seems extremely simple and commonsensical, everything listed has been proven to help with further grasping English grammar. These are tips that are recommended not only for native English speakers, but also for students or citizens who have English as a second language, to help them improve their reading, writing, and speaking skills. First, decide that you want to improve your grammar skills. If you go into learning halfheartedly, you will not accomplish your goals. Putting your mind to the task of learning will help you to follow through and really commit to your grammar acquiring experience. Next, use your resources. Later in this article, we will take a look at specific online or technological resources that you can use to improve your English grammar, but there are some simple resources that you can use as well. You can purchase a textbook or a grammar book that will help you with your grammar skills. However, there are also many websites and apps, which provide convenience when practicing your grammar. There are also videos that you can download and watch. Subscribing to a “Word a Day” website or email list is a great resource as well. The more words you know, the better your grammar will become. Furthermore, you have to practice. Practice your newly found grammar skills every day. There are many different ways to practice using grammar. One way is to find examples of writing that you find interesting and copy the writing. This will help you see the patterns that the author has used, and by practicing writing or typing those words down, your grammar will improve. In fact, practicing writing can help improve your grammar as well. Once you have written your first draft, you can have someone look over it to check your grammar, then you can improve your writing, which is a helpful skill. You can also use one of several websites available to do grammar checks as well. Even most word processing software has a grammar check built in. You can also read out loud, or really, just read. Reading helps you to see the language. If you read out loud, you are also able to hear the language being used. Listening to proper grammar, whether from your own mouth or from others, will also help you to improve. Finally, if you need help, ask for it. There are plenty of tutors who would enjoy the opportunity to help you improve your English grammar skills. Not only can a tutor take a look at your written work or help you to become a better conversationalist, but, depending on his or her background, a tutor can also help you to understand the building blocks of grammar, such as the parts of speech, or the rationale behind grammar rules. 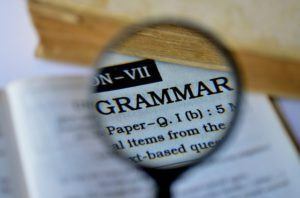 One of the first things that you learn when you are starting out in school is the building blocks of English grammar. You have to know the basics in order to read or write. One of the best ways to refresh your memory about the structure of grammar is to take a look at children’s books. Children’s books are simply written and a fast, easy way to quickly remind yourself of how to use language correctly. Some authors to look at include Lynne Truss, Bonnie Timmons, Peter Maloney, and Brian P. Cleary. When you are trying to figure out how to improve your English grammar, finding where to look can be a daunting task. There are several websites that claim to help you improve your grammar skills, but the following ones are the best for a quick reference. GrammarGirl: Quick and Dirty Tips (https://www.quickanddirtytips.com/grammar-girl): This website is a great resource for anyone looking to improve their written or verbal grammar skills. GrammarGirl was created by Mignon Fogerty and is routinely listed as a top grammar website in polls. It features easy-to-read articles with catchy titles to help you learn a concept in a way that makes you feel like you are just reading interesting facts about things you already know. GrammarGirl’s website not only give you the skills for how to improve your English grammar, it also gives you a history or reasoning behind each grammar fact you are learning. 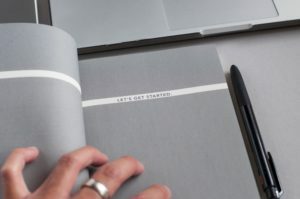 The Purdue Online Writing Lab (https://owl.purdue.edu/): This is a great resource to have at your disposal. Purdue University has collected a plethora of videos, worksheets, formatting guides, and teacher/student resources to help create a database of free grammar reserves. Grammar Ninja (http://www.wordgametime.com/games/grammar-ninja): This is a fun way to learn grammar skills. It doesn’t all have to be worksheets and blogs! Grammar Ninja is an interactive gaming platform that allows you to test your knowledge in the building blocks of grammar. You are given a task to complete, such a finding an adverb, and you click the correct words that represent the answer to the task question. The ProWritingAid Blog (https://prowritingaid.com): This website allows readers to view blog entries about grammar skills, but the coolest feature of this website is the online writing editor tool. This instrument is free up to a certain number of words. There is an option to buy into the website for unlimited editor tool access. White Smoke (http://www.whitesmoke.com): This is another online editing tool. This tool allows you to make corrections within the paper with the suggestions that you have been given. The corrections are made with a simple click. It also generates a report for you. However, there is also a fee associated with its use. If you have a few extra minutes a day to dedicate to really learning how to improve your English grammar, taking an online course would be the best option. Coursera (https://www.coursera.org) has an online database of courses that can be taken on an individual basis or as part of a degree program. With reasonable pricing and short course lengths, depending on how you are using the classes, this is a wonderful option for helping to improve your grammar skills. 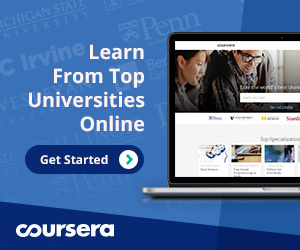 Coursera is set up in a user-friendly format that features videos, lectures, worksheets, and graded work, if you chose to pay for the curriculum. You also have the option to audit. Coursera partners with universities and professors from around the world to create a huge database of programs. A search of English grammar studies revealed a wide variety of classes focused on several different levels or subsets of English grammar. A few examples of what is offered include Tricky English Grammar, Grammar and Punctuation, English for Media Literacy, Miracles of Human Language: An Introduction to Linguistics, and many more. The courses are categorized into Language Learning, Arts and Humanities, Social Sciences, Business, and Life Sciences. Several of the classes are also offered with subtitled languages other than English. For a more in depth look at English grammar, it is highly recommended to visit Coursera and register to take a class. If you find that you do not have time to commit to taking one of the over 50 English grammar courses offered, there is a two-week grace period which will allow you to withdraw from the program for a full refund. If you decide to continue, you will receive a certificate of completion at the end. Some courses are also offered for free, and you can elect to pay for a certificate. It is worth taking a look at if you are interested in improving your written and spoken grammar!